for $374,900 with 3 bedrooms and 2 full baths, 1 half bath. This 1,656 square foot townhouse was built in 1987. NEW PRICE! EASE into home ownership this spring...OWNER WILL PAY 1st YEAR'S HOA DUES. Don't Miss This Opportunity to Own A Home In An Absolutely OUTSTANDING location literally in the HEART of Canton Square. Walk to the waters edge, shops, gym, restaurants, entertainment-pretty much everything right outside your front door! 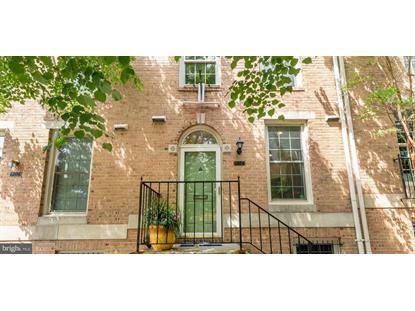 Situated on a wide tree-lined (dead end ) street directly across from the Inner Harbor. Deeded PARKING in private lot right outside of the back gate PLUS 2 guest parking passes. Beautifully maintained and move in ready with neutral new paint & carpet throughout. 2 upstairs Master bedrooms with vaulted ceilings & large closets . Open concept main living space features hardwood floors & cozy wood burning fireplace. Lovely fenced patio and spacious deck with access to parking lot. Finished lower level family room OR 3rd bedroom with laundry and full bathroom. NEW HVAC.